Duncanville Police Department is hiring. To qualify you must check YES on at least one of the check boxes below. 1. Have you completed 30 college classroom hours with a minimum passing grade of C? 2. Do you hold a current TCOLE Peace Officer License? 3. Do you have at least two years of active military service with honorable discharge? In our continued effort against the West Nile Virus, the City of Duncanville has authorized the Dallas County Health and Human Services (DCHHS) to conduct ground spraying against mosquitos on Friday July 1st, and Saturday, July 2, in the area north of Wheatland Road and east of Main Street, as well as Fairmeadows and Redbird areas from 9 p.m. thru 5 a.m., weather permitting. A positive mosquito trap pool for the West Nile Virus was reported by the County in these areas. View mosquito spraying map. Residents living near this area are encouraged to remain indoors and bring their pets inside during spraying. City Staff will continue to monitor areas where mosquito breeding is mostly like to occur. To prevent the spread of mosquitos, residents should remove all areas of standing water and report all pools that are not well maintained and abandoned homes where mosquitos are likely to breed to the Health and Code Enforcement Department. Everyone should continue to protect themselves against the West Nile Virus by using insect repellent containing DEET. 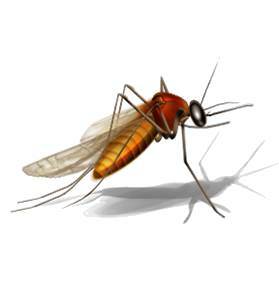 Citizens are also encouraged to remain indoors during dawn and dusk, when mosquitos are most active. For more information on the scheduled ground mosquito spraying in Duncanville, contact the City’s Health Inspector at 972-740-1163.
www.duncanville.com has a new look! The City’s new website focuses on providing its citizens an enhanced customer service experience. The website features a modern graphic design and new two-way communication options for public comment. The project was implemented as a result of the City Council’s vision to better communicate and engage with the citizens of Duncanville. Through the use of a forum platform, the public can now create topics and post comments. In addition, they have the ability to comment on posted articles. A new component of the website includes some of the City’s factual information displayed through the use of animated graphics. Social media live feeds have also been incorporated in their respective departments. Citizens will continue to see some of the past features including Report a Concern, however, the new website will be enhanced for mobile users and easier to navigate. To achieve a product tailored to meet the needs of the local community, the City contracted the service of local web designer Jorge Ruiz, with Colourprep, Inc. Ruiz brings a citizen’s perspective to the project being a Duncanville resident himself. Members of the Social Engagement Partnership were also instrumental in obtaining citizen feedback and supporting promotional efforts for the new website. In addition, an internal web design staff committee was created to collaborate as representatives for each department. As will eventually become a regular feature, here is a round-up of what the staff is reading this week. You may notice that there are more titles mentioned than staff. Therefore, I must inform you that some of our staff are greedy and they try to READ ALL THE THINGS! On the surface, it’s about veterans, PTSD, and coming home from combat. But in a deeper sense, it’s really an examination of how human societies work, and what it means to be a part of a group, whether that group is the size of a family or the size of a nation. It’s a short read, but a dense one, at just under 200 pages. Read by Dennis the Director. Jessica Jones by Brain Bendis. Jessica Jones is a super hero turned private investigator. This volume only gives you a small glimpse into her mysterious past. It is just enough to want you to come back for more. “I kind of ruined my life by going to college” is the cover story and I found very informative with a college age child and another one who will be looking at colleges within a couple of years. It gives an in depth look into the crisis many people face when saddled with huge amounts of student loan debt and gives possible solutions in how to avoid getting into the same financial hole. “Shedding light on solar power” was also a wonderful article. If you ever thought about getting solar panels installed, this article gives tips on how to go about doing so. It also talks about tax credits available when you get solar panels installed. It is a very interesting book about people who dared to explore unmapped territory in their time. It is filled with photographs that are fascinating to study. It is a fluff book that is silly in how it copies stuff that is found on TV or movies. However, it is still very entertaining and is for anyone who can read a book and not take seriously some of the redone content. Not at well known as “The Walking Dead” but just as awesome. Lots of zombies, of all ages, and A QUEST that could result in a cure for zombism. Zombiehood? Zombification? I saw the movie and really liked it so I just checked out the book. I prefer to read the book before seeing the movie but I’ll read the other two before I see them! 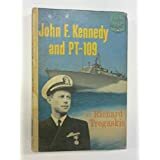 I was ten when President Kennedy was assassinated and every boy back then was enthralled with the gripping story of Kennedy’s PT-109 being sliced in half and how John Kennedy led the crew to safety. We all built the PT-109 model. So when this book came in as a donation and I saw it I just had to read it, and I could hardly put it down. This book covers the life of President John F. Kennedy during his tour of duty in the Pacific theater of WWII. The bulk of the book is about the period of his command of the Patrol Torpedo (PT) boat, number 109. Their craft was sliced in half one night by a Japanese destroyer and he helped guide the surviving crew to safety. The lessons he learned that night served him well when he became president seventeen years later. On the Sunday before the 72nd anniversary of D-day, earlier in this month of June, one of our church pastors illustrated part of his sermon using an account recorded in this book. So, after the service I borrowed his copy. D-day, the allied invasion of France to begin to take back Europe, was the turning point in the European theater of WWII. D-day, June 6, 1944, was the largest sea invasion in the history of world. Thousands of ships. And air support with paratroopers landing behind the German lines. The British, Canadian and American forces, after years of intensely secret preparations in England, stormed the beaches at Normandy and beaches north along the coast. Thousands were killed and wounded. Men scaled cliffs using grappling hooks and rope. The going was much slower and harder than anticipated but they held the beach and eventually the cliffs overlooking the beaches and the Germans were on the run. Thus began “the beginning of the end,” as Winston Churchill described it. A Grandmother is forced to raise her grandsons after their mother disappears and everyone has an opinion about how it should be done. I’m all about cover art, so the cover drew me in. I do judge books by their cover. The Passenger by Lisa Lutz. It’s a book about a woman on the run who assumes multiple identities. The synopsis hooked me and it was a good book. Filled with suspense; you never knew what was going to happen next. In the process of cataloging it and trying to determine where it needed to be in the library, I was intrigued by her approach, so I checked it out. Jahren weaves threads from her life as a scientist with explanations of various biological phenomena, and manages to write about both poetically. 4.5 stars. Read by Hannah the Cataloger. 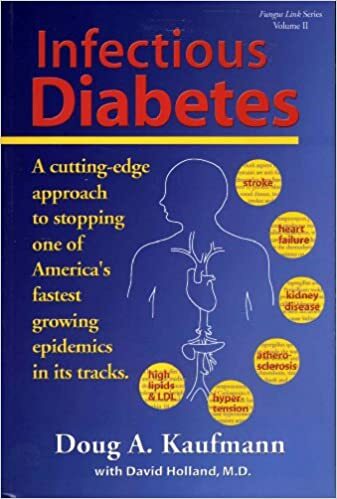 Actually this is his second book, he writes about how diabetes is an overgrowth of fungus in our system, cause by the food we eat, fungus feeds on sugar, if we cut sugar completely out of our system the fungus dies off therefore the body gets rid of the “diabetes disease”. 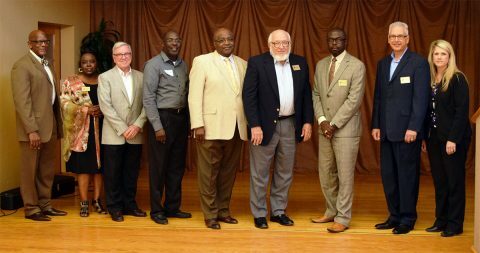 The Duncanville City Council is currently accepting applications from citizens interested in volunteering their service on one of the City’s boards or commissions. To be eligible to serve, one must be a resident of the City of Duncanville, and not be in arrears on City of Duncanville ad valorem taxes or fines or fees. Duncanville Community Economic Development Corporation members at the 2016 Boards & Commissions Banquet. Applications will be accepted thru July 15, 2016. Following the application deadline, each applicant will be contacted to schedule a brief interview with the City Council. Appointments to the Boards and Commissions are then made in August by the City Council. Anyone interested in serving is encouraged to forward a completed application no later than July 15, 2016 to Mary Jones, City Secretary, P.O. Box 380280, Duncanville, Texas, 75138-0280; or to mjones@ci.duncanville.tx.us; or in person at City Hall, 203 E. Wheatland Road. Applications may also be obtained at City Hall. For more information, please call 972-780-5017. The City of Duncanville invites you to bring your family and friends to its annual Independence Day Celebration! 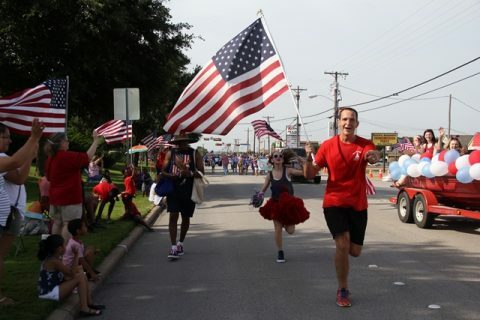 T he day will begin with a parade sponsored by the Duncanville Lions Club, and will close with an evening of food, fun, and fireworks in Armstrong Park, where you’ll enjoy LIVE music, delicious food from local vendors, bounce houses for the kids, and the return of Duncanville’s traditional Fourth of July Fireworks Extravaganza! Admission is FREE and open to the public, though wristbands will be required for entry into the evening activities. WHERE The parade route will begin on Wheatland Rd at Freeman St, heading west, turn north on Main St, and end on Main St at Freeman St.
ROAD CLOSURES Various closures will affect the Wheatland Rd & Main St area beginning at 7AM. CONTACT For further information regarding the parade, call Lions Parade Chairpersons Don McBurnett (214-918-9981) or Kasey Cheshier (972-298-1147). Wristbands will be required for entrance to the evening festivities. The Duncanville Recreation Center (201 James Collins Blvd). While supplies last. Limit 10 wristbands per person; must be 18 or older to pick up. If quantities remain, wristbands will also be available at the event. ACCESSIBILITY ADA-accessible parking will be located in the parking lot west of City Hall (203 E Wheatland Rd). PARK CLOSURE Armstrong Park will be closed to the public in advance of the event, starting at 11:30 PM on July 3rd. Normal park hours will resume following the event. A North route will pick up attendees from the Duncanville High School parking lot (900 W Camp Wisdom Rd) and drop them off at Efurd Properties (202 S Santa Fe Trail). A South route will pick up attendees from the Costco parking lot (250 W Hwy 67) and will drop them off at the former Duncanville ISD Administration building (802 S Main St). SPONSORS/ VENDORS Sponsors and vendors are invited to register with the Department of Parks & Recreation at 201 James Collins Blvd, or by calling 972-780-5070. MEDIA All media welcome at the park entrance near City Hall (203 E Wheatland Rd). For further details regarding media coverage, please contact Dennis Quinn at 972-780-5053. CONTACT For any questions regarding the Independence Day Celebration, please contact the Department of Parks & Recreation at 972-780-5070. This week, I read a series of books titled “Black Tide Rising” by John Ringo. There are 4 books in the series and I’ll list them in order at the end of this post. This series is about the Smith family, whose dad is a ‘prepper,’ plus he used to be Australian military. It starts out with news slowly beginning to spread of a weird plague that seems to make people incredibly violent and aggressive. If you’re thinking zombies, well, you’re almost right. In this story, people don’t become zombies after they die. Instead, they turn zombie before they die. The main point of the story is Search and Rescue on the Atlantic Ocean. The Smith family gets the movement going and the rescue effort keeps getting bigger as they find more survivors to join their mission. My two favorite parts: the character of Faith, who is all kinds of awesome, and a description of a tank trying to do a U-turn. Click the link below for the 2016 Official Election Results held on May 7, 2016.